It was still dark at 6:30 AM as I walked out of the grocery store. We have surprisingly few options for groceries in the town where I live, and that means everyone shops at the same store. I do my shopping as early as I can stand in order to avoid the crowds, so this is usually when I am there. As I made my way from the overly store to my car, I had little idea what was waiting for me in the darkness. I had just starting loading groceries into my car, when she emerged. I heard her before I saw her. She called out some sort of pleasantry along the lines of, "My, you are here awfully early. I guess you are just trying to get your shopping done and get out of here, huh?" An astute observation. I looked up to see a well-dressed Black woman walking toward me across the parking lot. I'd estimate that she was in her mid-30s. Having been accosted many times inside this store and its parking lot by mentally ill individuals who screamed gibberish until law enforcement arrived, I was initially wary; however, that was not the vibe I got here. She was not wearing a bathrobe and flip-flops, after all. Given the unusually cold weather, I figured she might have a dead car battery or something. I decided I'd offer to help. As I turned toward her preparing to extend an offer to help, she made her own offer before I could speak. I do not recall the exact words, but she said something about wanting to give me some "positive literature" to read. She was now close enough that I could see a collection of religious nonsense in her hand. I politely said, "No thank you. I am not interested in any of that." To her credit, she retreated quickly and without protest. I noticed that she returned to her car, a brand new Toyota Camry. As I got in my car, I watched her drive from the spot in which her car had initially been parked to a different parking spot. At first, I wondered what she was doing. I then noticed that she had moved her car right next to a car in which a man was sitting. He appeared to be waiting for someone inside the store. Sure enough, she got out of her car next to him, tapped on his car window, and attempted to hand him her "positive literature." From what I observed, I feel reasonably confident that she had been there a while in that dark parking lot accosting strangers to spread what she probably regards as "good news" of some sort. The skies were clear, but the temperature was just below freezing and it was windy. Combined with the fact that it was still dark, nobody was going to spend any more time outside than they needed to. 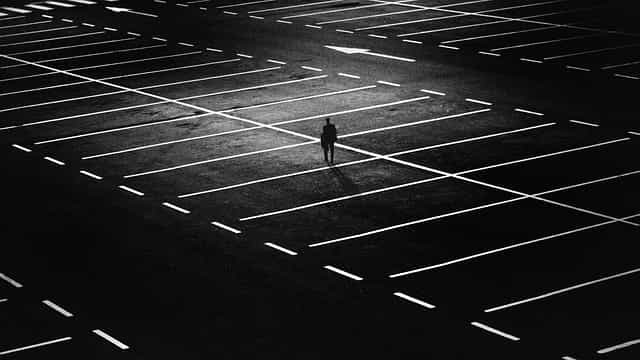 She was keeping herself comfortable by returning to her car after each encounter and then creeping through the parking lot in her car looking for victims. I briefly considered that this might seem creepy if she was a man but that a well-dressed woman could probably get away with it. On the other hand, there was nobody but her in her car. I wondered how safe this sort of thing was for her. There was little traffic at this time of day, and visibility was not great. Someone could have grabbed her and probably escaped undetected. I wondered whether telling people about Jesus as if there is anyone living in Mississippi who has never heard of him or persuading a few people to attend her preferred church was really worth the risk.